This event has ended, but feel free to fill out the form below if you'd like an invite to our next event! Bad habits repeat themselves not because you don’t want to change but because you have the wrong system for change. This is a core philosophy of James Clear's Atomic Habits — you do not rise to the level of your goals, you fall to the level of your systems. Join us at the February 2019 Growth Series event to develop tools and strategies to transform your habit systems and achieve remarkable results. "If you’re having trouble changing your habits, the problem isn’t you. The problem is your system of forming habits." 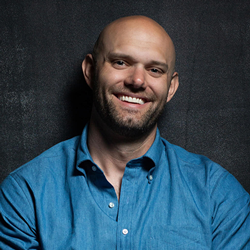 James Clear is an American author and entrepreneur as well as one of the world's leading experts on habit formation. 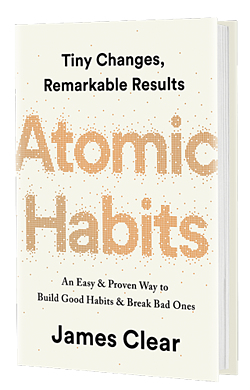 He is the creator of The Habits Academy, the premier training platform for individuals and organizations that are interested in building better habits in life and work, and his most recent book, Atomic Habits, offers a proven framework for getting 1 percent better every day. By combining ideas from a wide range of disciplines including biology, neuroscience, psychology, philosophy, and more, James explores how we can create better habits, make better decisions, and live better lives. His work has been covered by dozens of major media outlets including The New York Times, Entrepreneur, TIME, and on CBS This Morning.